Eric created Ferme Les Petites Écores in 2009. In 2013, Eric’s parents, Jeanne and François, joined Ferme Les Petites Écores to join forces to make it a flourishing business. In 2015, Hélène, Éric’s wife, started Jardins Les Petites Écores. Ferme Les Petites Ecores and Jardins Les Petites Écores, merged in 2019. Always looking for new projects, they strive to create the best products to satisfy your taste buds! 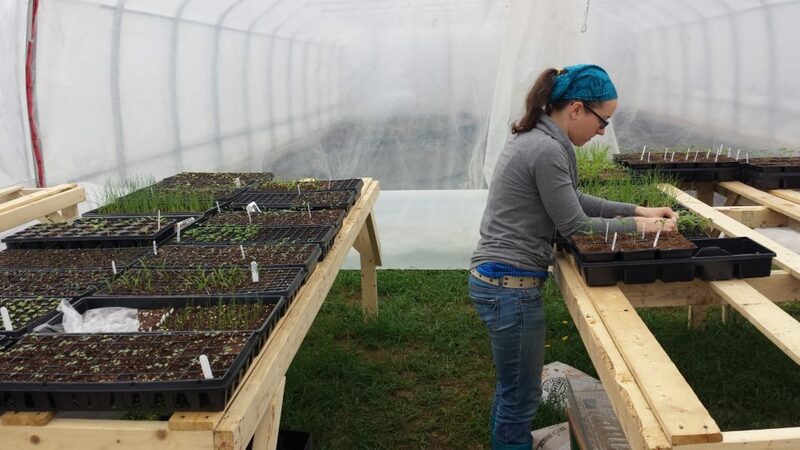 Located in Pointe-Fortune, in the Vaudreuil-Soulanges region, they found the ideal place for their hives, sea buckthorn and, now, vegetable production. Studying in computer science, Eric decided to change his field of study in 2007 following the purchase of farmland by his father. He then leaves Montreal to study at Cégep d’Alma and undergo a one-year training course (Operation of a beekeeping business). It was during this training that he got the bug for beekeeping! 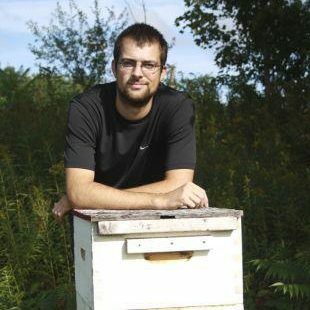 In 2009, he created Les Petites Écores Farm and started with 20 hives. Over the years, he increased this number to 80 in 2012. Subsequently, he joined forces with his parents. From now on, it is more than 200 hives that the farm manages. From a very young age, Hélène had a garden with her mother. This is where his love for the work of the earth comes from. This passion led him to a DEC in horticulture and a BAC in environmental geography. Helen had a dream: One day, she would become a market gardener. To make sure she would like this job, she volunteered for a vegetable farm to make sure she would love the job. Now well equipped to start her project, she began her company in 2015 and, in 2019, she joined the team of Ferme Les Petites Écores to put everything under the same company. Seeing retirement as an opportunity for a career change, François buys land in Pointe-Fortune to begin the production of sea buckthorn. Having worked for a long time in the financial sector, he looks forward to the moment when he will start his new career. The first sea buckthorn trees were planted in 2008 and the first harvest was in 2013. 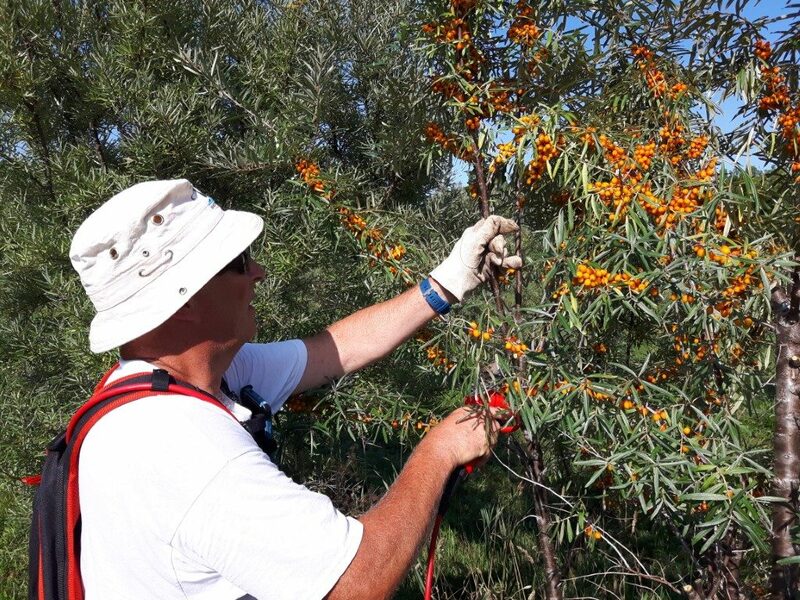 A total of 1500 sea buckthorn trees are in production! 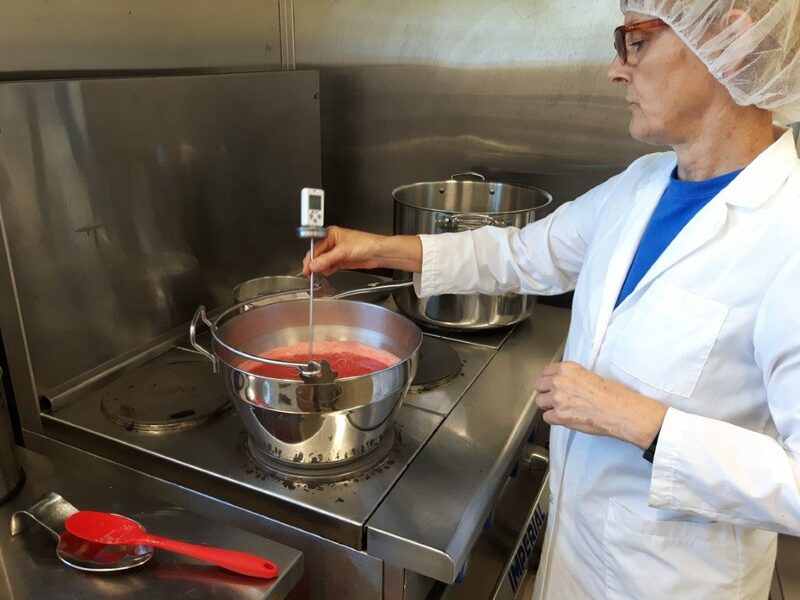 Already present in the company before 2013, Jeanne is working on the development of different recipes to offer you these products that you love so much! Following many training in food processing, she knows how to find the right taste to provide you with a perfectly balanced product. Her favorite? Our sea buckthorn butter!